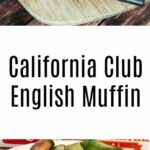 With a lot of us thinking about making a special breakfast in bed or a brunch for Mother’s Day, find some inspiration with this recipe for a California Club English Muffin Sandwich. 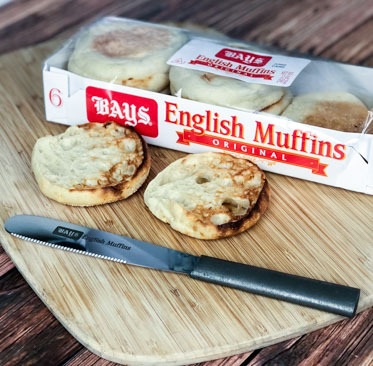 These are made with Bays English Muffins, which you can find out more about below. One of the reasons I love the recipe is because it’s so easy to make. I love the toasted Bays English Muffin as an alternative for boring old sandwich bread and I am obsessed with avocado slices. One thing about this recipe is you can really make it your own. You could substitute turkey bacon for a healthier option and if you don’t like spicy brown mustard try mayo or ranch. Honestly this sandwich is so you good you could eat it without any condiments at all which is how my daughter prefers it. You could also switch out the arugula for sprouts. Since my daughter is in collage and in her own apartment now, I am constantly looking for easy recipes that she make, grab and go. She is also working full time so hope recipes like this mean less using the can opener and the microwave if you know what I mean. No need to have great culinary skills or know your way around the kitchen for this recipe. I have also included the following video that showcases the most amazing Bays English Muffin French Toast Recipe. 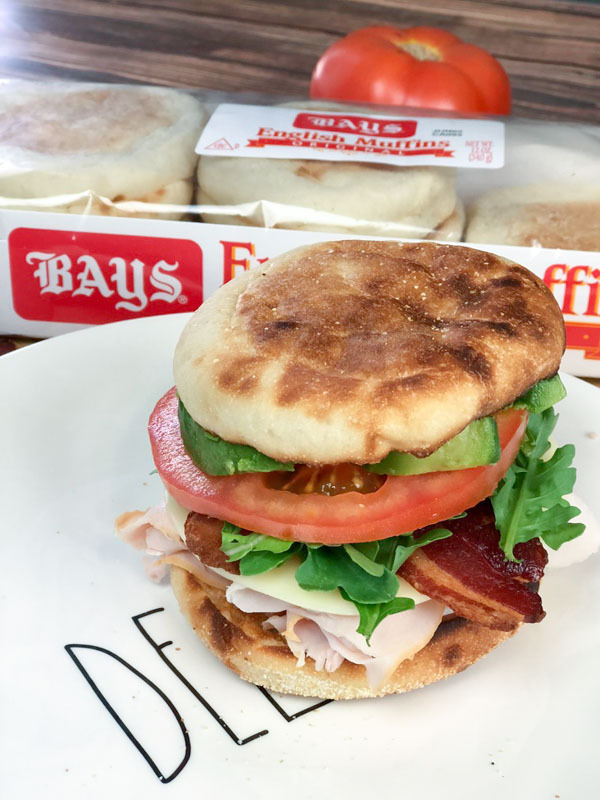 Find Bays English Muffins in the grocers’ refrigerated section by the eggs. There are four varieties including Original, Sourdough, Multi-Grain and Honey Wheat. For this recipe I used Original. Need more inspiration for ideas to treat the Moms in your life? Head over here for more recipes from their website, including some sweeter options for those who prefer sweet over savory for breakfast. You can toast them with her favorite spreads and fruits, or create your own recipe. Find more by Liking Bays Official Facebook. This Recipe Makes (1) Breakfast Sandwich. You can easily make 2-4, so breakfast is ready for the entire family! Cook bacon according to package directions (2 slices per sandwich). Slice Tomatoes and Avocado while Bacon cooks. Wash and pat dry Sprouts or Arugula, set aside. Slice English Muffins in half (1 per sandwich), Toast in toaster if desired. If toasting, be sure to wait until bacon has been cooked so all ingredients are ready to assemble! Add condiments, or have ready on the side. To make Mother’s Day a little brighter for the mom in your life, enter here for a chance to win a $200 Spa gift card! 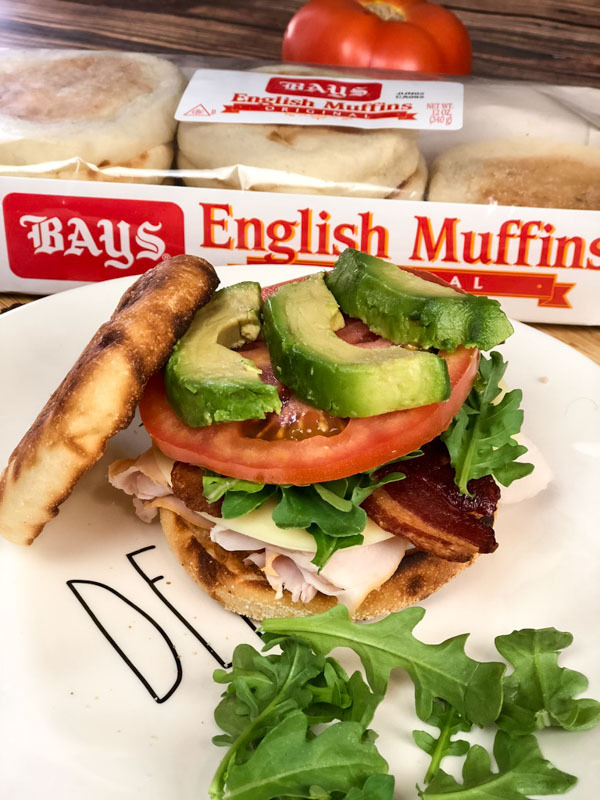 You can enter every day of the What Moms Want Bays English Muffin Event. Fine Print: No purchase necessary. 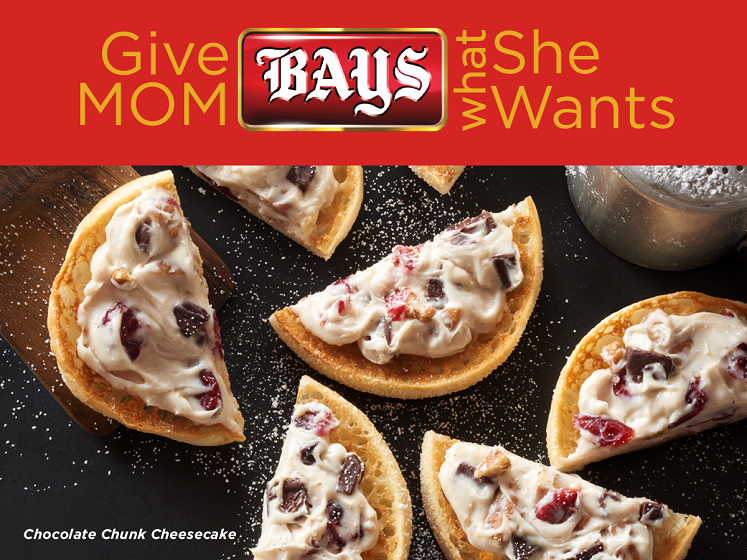 Enter the sweepstakes from April 24 to May 13, 2018 on Bays Facebook page. Official rules are at bays.com.